What a great first week. It was wonderful to see so many returning faces and all the new people on campus. I would like to introduce some of the new teaching staff on campus. This group represents 5 continents and 9 countries. We also have 3 interns who are joining us to start the year and hope to have one more. Clara, Abdul and Kelvin will be working in classes and in the boarding houses as they learn about working in an international school. As we swing into the second week please note that Wednesday is a holiday and there are no classes. Mixed around that we have events on Tuesday, Thursday and Friday that we invite you to. Please see below for details. I would also like to mention that myself and Ben are available to meet any parents to discuss questions and suggestions you might have. We look forward to hearing from you. On Tuesday Morning we will have coffee at 7:45 am for parents to meet Ben and have to opportunity to talk with myself and Anna about the work over the break and just socialize. On Thursday evening we will have an opportunity for parents of primary students to come in and meet the teacher, educational assistant and see the classroom. The evening will start in Rafiki Hall at 6:30pm. We hope to see you there. On the same day we have the Farmers’ Market from 11am to 2pm. If you are returning you know all of the great stuff available. If you are new, please pass by and see what is on offer. This year the Farmers’ Market is scheduled to be the third Friday of each month. We look forward to seeing you there. K-hall has a renovated floor and new paint job. The pool has been repainted and refinished. 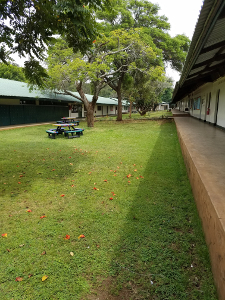 New straight path from dining to the lower boarding houses. Recreation area near the Duka that will house a pool table and ping pong table. Some of the new open space around campus. What a fabulous first week we have had getting to know your children and how lucky we are to have them! The children seem genuinely excited to be at school and we are all looking forward to a year of working alongside each other and learning together. At this stage, we want to help the children become more aware of themselves in relation to each other in the group. With time, we hope they will gain a sense of community and place and their role within it. Collaborative play, Morning Meetings, group discussions, Circle Time, outdoor play etc are all great opportunities for the children to develop an awareness of their identity in relation to the group. In time, this will lead to them starting to identify some of their own strengths and areas of growth. It is important that the children feel safe, comfortable and valued. We want them to be confident at school, where school is a happy place to be and where learning is a wholly positive and joyful experience. Our first Primary Gathering of the year was a lot of fun. The whole Primary School came together in Rafiki Hall on Friday morning and enjoyed a dramatic performance of “The Enormous Turnip,” re-enacted with energy and enthusiasm by the Primary School teaching team. Primary Gatherings are an opportunity to showcase learning across the classes, celebrate special achievements and events, recognise particular occasions and, above all, explore what it means to be part of the ISM community. The next Primary Gathering is scheduled for Friday 31st August and more details about which class will be sharing and/or hosting will come nearer the time. In the classrooms, the children have been working on their “Essential Agreements,” particularly the idea of the importance of listening, not only to teachers but, of course, to each other. It is important that the children take ownership of these agreements. We do not want them to be sets of “rules” that go up on the wall only to be ignored or forgotten. We want them to be relevant to the children and this is why classes are taking their time developing them together. Over the next week, the children will begin tuning into their first Units of Inquiry, unpacking Central Ideas and starting to consider Lines of Inquiry. Teachers will also be carrying out pre-assessments to find out more about each child as a learner. By now, you have (hopefully!) received a slip of paper showing the clubs that your child will partake in this Quarter. Clubs start on Monday. Please discuss collection arrangements with your child/children for each day of the week, to avoid any confusion going forward. There may be a few hiccups in the first week as we iron out the Clubs, so your patience and understanding is appreciated. 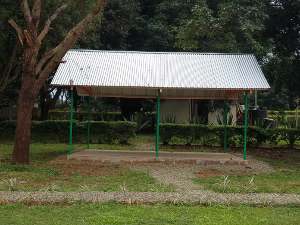 A welcome from the PTA at Moshi Campus. 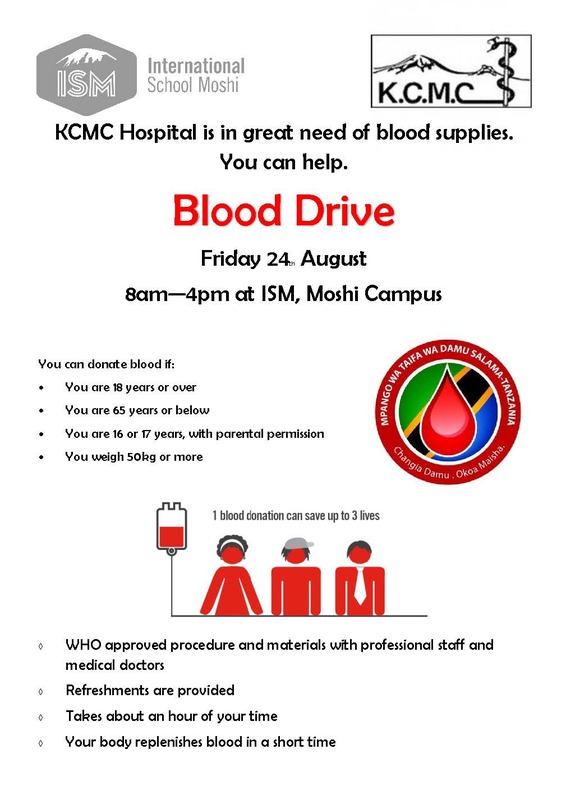 We are involved in a number of events on campus throughout the year including the Picnic at Kishari House on August 31st from 1pm to 4pm. If you are interested in learning more, please email me at jennyrenju@yahoo.co.uk. Please note that there are regular PTA meetings that follow the ISM Coffee Mornings on September 11th, November 13th, February 12th and May 7th. We are always looking for new people to get involved so please email us or come to the September 11th meeting to find out more. Welcome back to all D2 students, who started their final year of secondary education this week. A few students have not yet returned from the summer vacation. I urge you to get back asap; time away from the classroom and your learning will not serve you. First day back for D2 students required the submission of their Extended Essay draft; this is a 4000 word essay based on independent research. From the work received it is clear that many students worked diligently over the summer holiday. As this semester continues the D2 students will need to meet more deadlines for Internal Assessments; late submission of work is not an option. A big welcome to all our D1 students, both students returning to ISM after their M5 year and those completely new to our school. Karibuni sana! 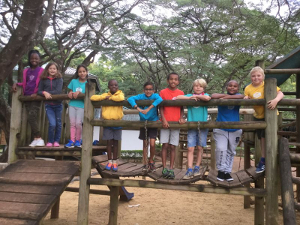 The academic year started for our D1 students with two days of induction; information overload was punctured with a trip to the ISM Day Care Centre to work as fundis completing much needed renovation work on the second classroom. Work is not yet finished and M3 will continue as part of their MYP Community Service commitment. While half of D1 were mixing cement, plastering holes and painting walls, the other half had their first Writing and Research session with Ms Chavez; essential learning and training to help our students be successful in the Extended Essay which they start later this year. Timetables are still being finalised and subject changes continue for D1; the beginning of an academic year is always a busy and somewhat disjointed time before everything, and everyone, settles into the rhythm of school life. A big thank you to everyone for their tolerance and patience; by working as a group we succeed as a team. 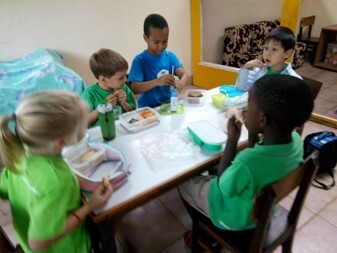 We are happy to have received new students who are settling quite well. They had an MYP induction session during Guidance Hour on Tuesday and took a Language Placement Test on Monday to inform teachers of their current knowledge and understanding. As communicated last week, the M5 students who chose Extended Math will take a test on presumed knowledge. This will inform the teachers and students of possible gaps in understanding of math covered in M1 to M4. Those who have chosen Mathematics Standard already will not take this test. All students will have their supervisors by Friday next week. Most of our boarders returned to school for the year on Sunday 12th August. 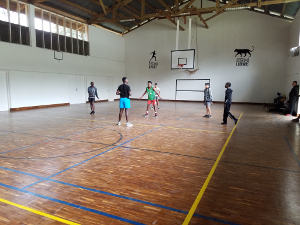 The boarding parents have been helping them to settle down, especially the new boarders who are adjusting to the boarding routine. A number of parents have filled and sent to us Parent Consent forms for this year, but I would wish to remind those who have not done so to fill them out and send them to us as soon as possible. Note that students will not be allowed out of campus if these forms are not filled. Students should also have sent to us health forms. Kindly access these forms from our website and send them to us so we can provide the appropriate care for your child. There is a school bank where boarders can keep money while in school. It is open twice a week for boarders to withdraw money to use in the Duka, on town trips or on other school events. Boarders are encouraged to keep money in the school bank, and avoid holding large sums of money in the dorms. 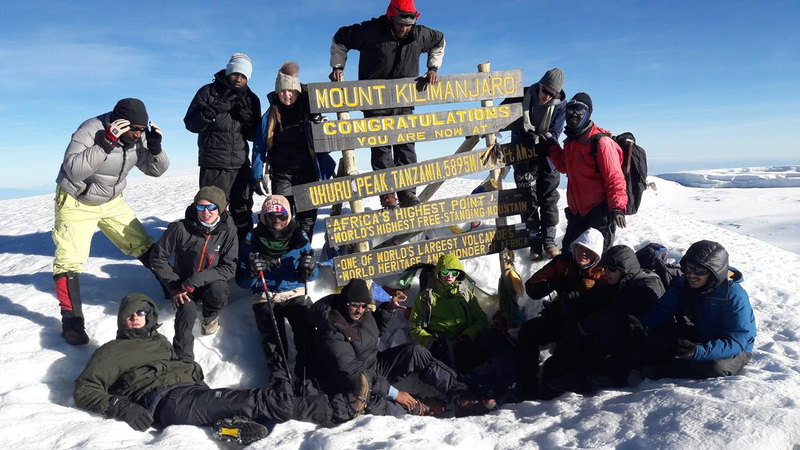 As usual, this weekend we have lined a number of activities that will provide boarders with options in addition to any studying they need to do. Next week we begin the sports and clubs for the 2018-19 season here at ISM. I would like to thank the teachers, parents and students who have volunteered their time to provide so many opportunities for our students. I get the feeling this is going to be a great year for the Leopards. Due to all your support we can offer students the following sports and clubs – Swimming (at various ages and levels), U9/U11/U13/U15/U19 Touch Rugby, Soccer, U13/U15/U19 Netball, U15/U19 Basketball, Secondary Volleyball, Ultimate Frisbee and Sports Fitness/Athletics, Primary Rounders, Zumba, Brownies, Volleyball, Roots and Shoots, Musical Theatre, Arts, Athletics, Day Care Centre and Quilling. Welcome! 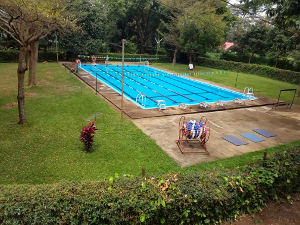 As mentioned in the previous newsletter, ISM Swimming (aka the Swimming Leopards) have a fun and exciting 2018-19 season planned, including regular team workouts and swim galas, both in the Moshi-Arusha area and, away in Dar and Mwanza. Swimmers will have been given a letter on Friday with all the information for the 2018-19 season, training times, swim meet dates as well as a form for them to fill out. Please discuss with your child which swim meets you and they would like to attend. For new parents, if your children are interested in joining our Primary or Varsity swim teams, please contact Christine Brandsma, Debbie Bachmann or Coach Sabini Temba for more information or, drop us a line – ismoshiswimming@gmail.com. With luck, the newly painted pool will be ready this coming Monday so, children can already start training then. We look forward to seeing you at the pool! Saturday Primary Football is back. From 9:30am to 10:30am we have mixed football for P1 to P6 run by Coach Eli on the lower pitch. Please drop by and check it out. Like previous years Coach Charles is running tennis lessons for interested students. There are group lessons on Saturday morning and individual or paired lessons available after school during the week. If you are interested please contact him directly at 0757606766 for times and prices. It has been smiles all week round, from teachers, EAs and the students. I have heard positive feedback from all around about how the children have enjoyed their first week back. They have started to tune into their first unit of inquiry. Teachers have been holding activities to find out more about each child and to establish the right level to begin lessons next week. Teachers will send home homework on Monday for your child to complete throughout the week. Please return the homework on Friday. Weekend work is not set so that the children can have a rest. It’s a good idea for your child to read everyday of the week. I hope you have received a slip of paper showing the clubs that your child will partake in this quarter. They start on Monday. Please discuss with your child when and where you will collect them from each day of the week to avoid any confusion at the end of the day. 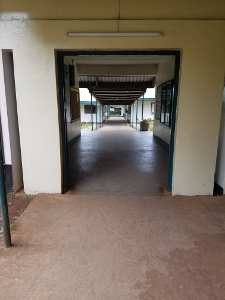 Please be reminded that the ‘Meet the Teacher evening’ is on the 23rd of August from 6:30 p.m. to 7:30 p.m We will begin in Rafiki Hall and after introductions move to the classrooms for the teacher presentations. 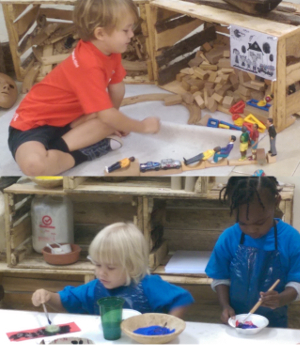 Here you see some of our fabulous EC students enjoying two of our new Reggio-inspired learning areas. We are experimenting with a range of natural materials in order to provide open ended opportunities for play, and through that play, genuine authentic learning. Check out the photos and feel free to pop in any time to chat about what we are aiming for. As we begin our unit on ‘Who we are’, you might spot an ‘invitation’ in the blocks area to build a family home. In this way, we as teachers are able to offer children a chance to structure their play in ways that might lead to conversations about family, home life or anything else that comes to mind. Over the coming months I hope to ask for your support as we develop new areas in the outside area of our classroom. Please send in one or two favourite family photos for our playhouse. 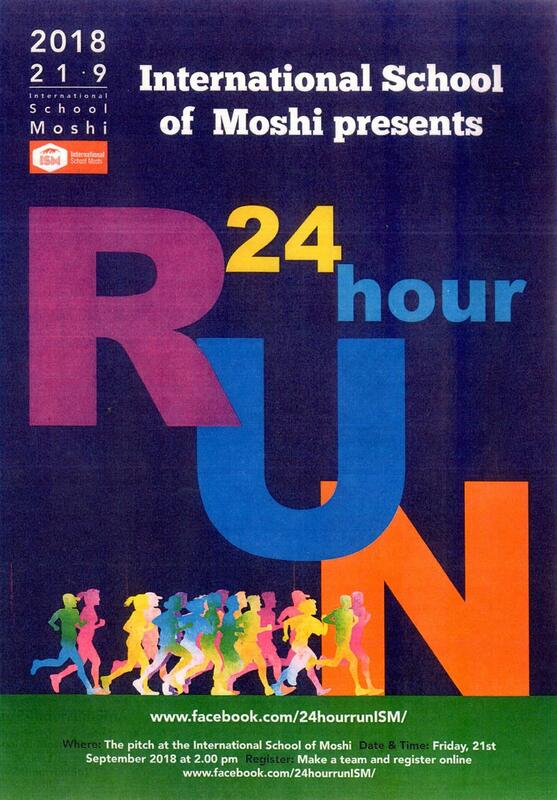 You can send them to owainevans@ed.ismoshi.com or drop in with a flash. Who are the people who make us feel wanted? This was our question of the week as we began to tune into our unit. Family members came top on our list. Pets were argued into it and one surprising thought was brought out. One student shared her idea that she makes herself feel wanted because she loves the way she is. What deep thinking coming from our corner. We will continue to explore this question further next week as we look at how people who love us make or should make us feel. Homework and reading books will be coming home this Monday. Please look for an email from me explaining our homework schedule and giving you ideas of how you can help your child complete it. Anais and Alayna will kick off our alphabetically ordered schedule of show and tell this coming Friday. I am looking forward to meeting you all Thursday evening when we can talk more about our class. It has been a week of adjusting back to school life for many of us. The P 2-3 class has spent this week getting to know one another through a variety of games that included a scavenger hunt and a math about me activity. We have discussed the importance of accepting one another, and more importantly pledged to work on keeping each other happy! The P 2-3 class began to discuss their unit of inquiry which centres around the impact our choices have on our well being. We have kicked this unit off by reflecting on our own lifestyles and the choices we make in terms of food, as well as what we do when we go home from school. Next week we will continue to elaborate on the unit through our first line of inquiry. Monday: PE – hat, shorts, running shoes and water. Homework will be sent home on this day. Friday – Library – bring library books and bags back. Homework due. Students may also bring a show and tell item to share with the class should they wish to. In P4 we are off to a good start! The students have settled in well and are enjoying their unit of inquiry and other activities. Thank you for the clubs sign up, the children are looking forward to starting clubs from next week Monday. Communities are enriched by their members and the different perspectives they bring. P4 parents, you are welcome to class to share stories about communities you belong to. You can drop me an email to book a time. I am sure the kids would be very excited to hear from you. In the coming week we will be finding out about different ISM community members and getting to know more about what they do. We are also looking forward to going out to our community garden for various activities. The P5 class had an excellent first week of school. We got to know one another through group games, and fun activities. The class wrote postcards to me to introduce themselves, and we completed our first writing exercise. Students were invited to share a summer memory and read it to the class. We created a classroom agreement, which we will review and sign next week. For the second week of school, we will continue practicing new routines. The Peace Tray will be introduced, and homework will be given on Monday. Meet the Teacher night will be on Thursday at 6:30. I hope all of you can make it, so you can learn about your child’s classroom community. A reminder that the homework this last week for parents was to email me at SarahBrummel@ed.ismoshi.com. Thank you for taking care of this, so I can add your email to the list. 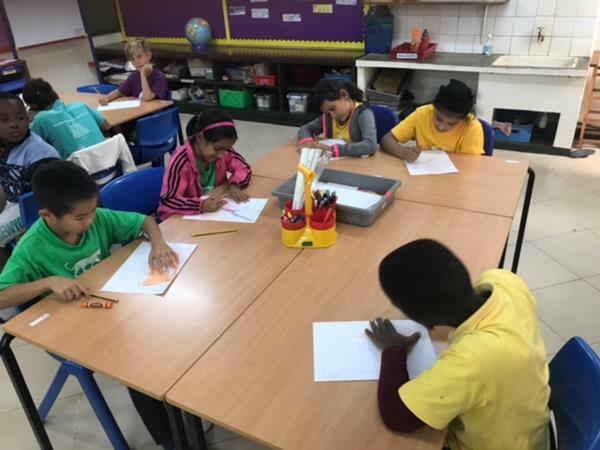 The children are quickly settling into life in P6 and are proud and excited to be the oldest children in the PYP. We have made a good start at organizing our new classroom and have drawn up our Essential Agreements. The children have completed some mental maths, problem solving and art activities and we have started thinking about our Unit of Inquiry. The central idea is “Explorations lead to discoveries, opportunities, and new understandings”. If your child has any useful books, posters or other resources we would be very pleased to see them. Next week we will delve deeper into our inquiry and will also work on mapping skills. We have begun posting photos of activities and examples of work on Seesaw so please sign up to see your child’s journal (last year’s journal has been archived) using the new link that was emailed out. I wish you and your children a relaxing weekend and hope to see many of you at the meet the teacher evening on Thursday.